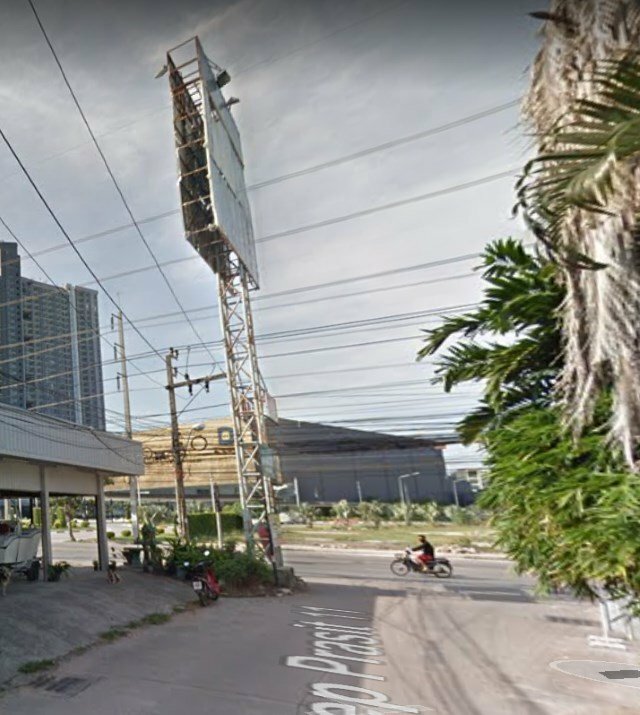 PATTAYA:--Pattaya removed a large advertising billboard on Thepprasit Soi 11 following complaints from motorists that it partially blocked the road. Deputy Mayor Pattana Boonsawat led workers to the area to check angles and sign placements March 14. 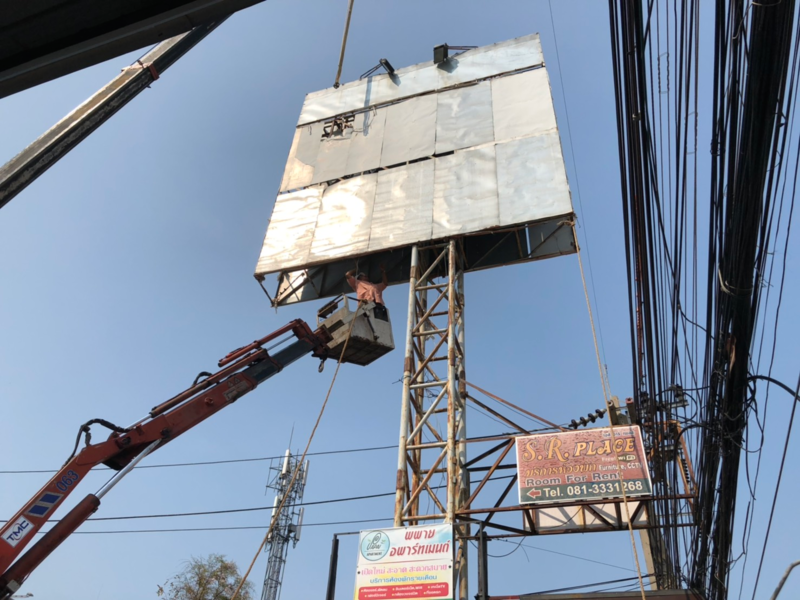 They found a 15-sq.-meter billboard installed 20 meters high on steel posts. But the base encroached on the street, leaving little room to turn around it. The billboard was removed to widen the road for motorists. Pattaya removed a large advertising billboard on Thepprasit Soi 11 following complaints from motorists that it partially blocked the road. I would have thought it more likely motorists complained the road blocked the billboard - especially if it happened to be an animated one. Amazing picture for the article. Come on! Only 2 meters or so into the lane. I often passed there without noticing. And who would complain that it obstructs the footpath at the main rd. And not to mention a steel structure in such close proximity to the power lines. Good observation. And that are high voltage lines (maybe 30k Volt). Let's hope there won't be a report about electrocution while tearing a billboard. It had to be removed! How else are the law-abiding drivers and motorcyclists going to cut the corner! What a laugh. Drive Beach Road, 2nd Road, South Road, Central Road and numerous other roads in this chaotic city. All sorts of enroachments to be found. Sidewalks blocked or taken over by merchants, wires dangling headhigh, broken footpaths. You name it. Who gave permission to have it built? Oh, I know, the guy with the big brown envelope.